Want to do something really great for the community, while getting something pretty cool for yourself while you’re at it? 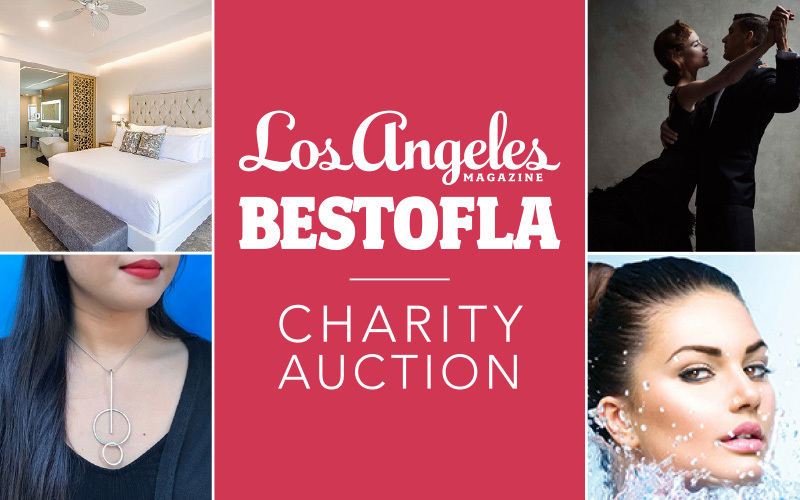 That win-win situation can be all yours when you participate in L.A. Mag‘s 2018 charity auction. A few of our favorite businesses have generously donated some pretty luxe packages—think getaways to Terranea Resort, spa time, theater tickets, statement jewelry, a wine club membership, and more. All the proceeds from the auction will go into the fund donated to charities raising over $75,000 during the GIVE Los Angeles Challenge. Click the blue “register now” button below, then scroll down for item details, and start placing your bids in the online auction. Use your browser “back” button if you need to move back and forth on the auction pages, or click here if you have any difficulties. The auction closes on November 21 (start thinking about that holiday gift list) and winners will be notified. The GIVE Los Angeles Challenge is L.A. Mag‘s campaign to highlight and support the important work of local nonprofits and amplify the impact of community donations. Starting November 14, we’ll be encouraging you to give to your favorite charities and the groups that raise $75,000 or more by January 1 will share an additional $30,000 donation, on top of everything they raise during the challenge. Over the past two years, over $800,000 has been raised by participating groups serving the region we love, and you can be a part of building that momentum right now.